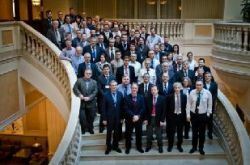 INCAS is full member in one of the most prestigious aeronautical organizations in Europe: EREA – Association of European Research Establishments in Aeronautics. from INCAS is undertaking a 3 month stay at DLR Institute of Aerodynamics and Flow Technology in Braunschweig. The stage started at the beginning of February 2012 and will be completed at the beginning of May 2012.The chosen topic is “Accompanying numerical studies including introduction to DLR CFD tools for AFC analysis and design applications”. 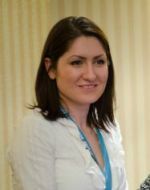 EREA Security Research Group – SRG (Anca Costea) and also in the Board of Directors (Catalin Nae). 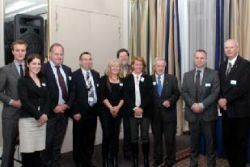 All representatives are serving as a liaison with the European Commission, the European industry (ASD, IMG4) and other research organizations. INCAS is partner in REStARTS - Raising European Students Awareness in Aeronautical Research Through School-Labs – REStARTS , an EC founded project through the Aeronautics and Air Transport theme of the FP7 and it is lead by Von Karman Institute for Fluid Dynamics. Clean Sky 3rd Annual Review Meeting in Bucharest at JW Marriott Grand Hotel, on 21st – 23rd of March 2012 – meeting organized by INCAS; the meeting had a large participation, over 60 researchers from all over Europe and over 20 from Romania. The partners of REStARTS: VKI in Belgium, CIRA in Italy, DLR in Germany, INCAS in Romania and School of Education University of Leicester in UK. 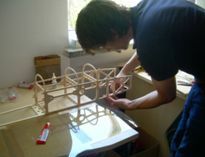 The main objective of this project was to attract young people to aeronautics, and this objective was fulfilled by experiments done in class using scientific documentation materials provided by the institute and by visits to the institute. 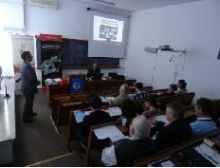 INCAS has an internship programme and is hosting students from Europe for 3 to 6 months; also has three month summer training for Romanian students at the Aerospace Engineering Faculty, University Politehnica of Bucharest. In order to keep its employees up to date with the new developments of soft used in aeronautical field, INCAS organizes training courses for its employees.